Tarjuma is here because we need God and we need each other. Tarjuma emerges from our need to belong to a God-conscious, welcoming community that nourishes our longing for fellowship and spiritual cultivation. In spring 2012, some near strangers came together to think about community. 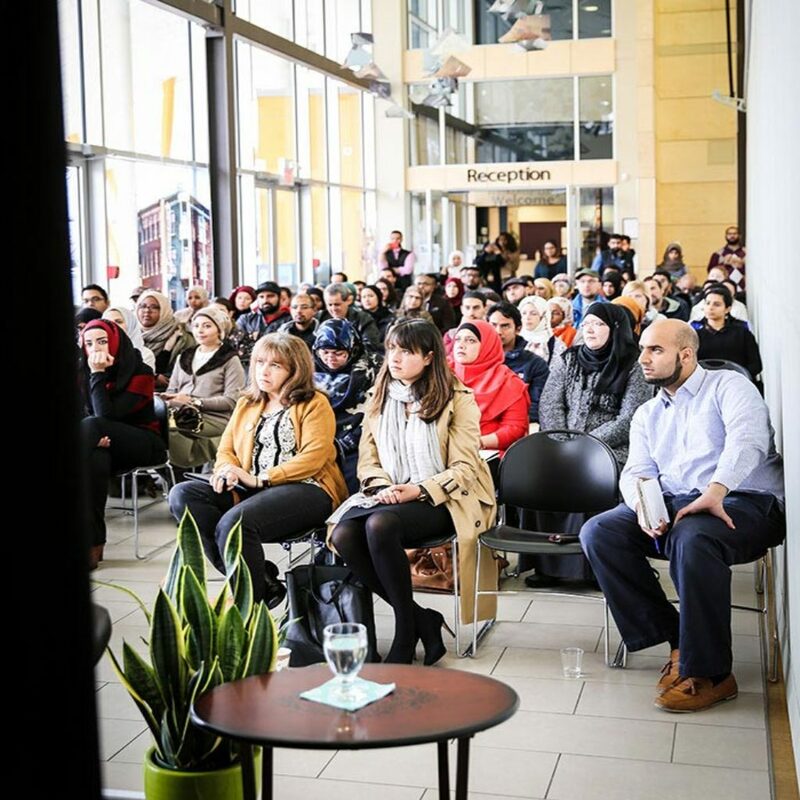 Inspired by efforts like Ta’leef Collective elsewhere, they hosted gatherings in Edmonton including Meaningful Expression (a quarterly event that explored the intersection of Islamic tradition and creative expression) and Being Muslim (a weekly class on the essentials of Islamic belief and practice). What they were seeking to understand in those two years–over the course of countless meetings, moments with scholars, shared meals and meaningful conversation–was how to better cultivate the Prophetic graces of a welcoming, caring community. Tarjuma was planted in 2014 because strangers – all seeking to live more God-conscious, meaningful lives – were able to become friends. We are about nurturing meaningful gatherings that are welcoming and facilitate the growth of community, Islamic literacy, and emotional wellness. We’re a community that is open to people regardless of what they know or where they’ve been. We’re working on building community through developing talented people and giving them the resources to better serve. Our near-term goal is to hire dedicated staff to work on facilitating activities, developing structure and carrying things forward as we move towards a space of our own. We want to belong to a community that is mindful of God, rooted in Islamic tradition, supportive and open. Tarjuma means ‘translation’ in Arabic, Urdu, Somali, Farsi, Bengali and other languages. A translator needs to have a firm understanding of both the source and audience. As Muslims living in a modern context, we are attempting to ‘translate’ elements of Islamic tradition in our community: for example, access to essential knowledge, being welcomed in spiritually-oriented spaces, and the opportunity to grow in fellowship.